Price is based on two people. Single passenger pays +US$ 40. Nearby, the pre-Inca Cemetery of Chauchilla was looted by treasure hunters. Normally, in several old tombs there can be found some mummies, ceramics fragments and some bones. But those who ransacked the place, took away all of the treasures of Peru, so for example the mummies kept in their tombs for centuries. 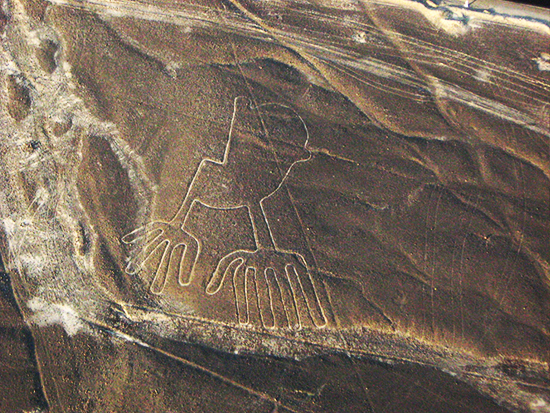 The Nazca culture left us the mysterious Nazca Lines: a complex of zoomorphic, geometric or anthropomorphous drawings. There are hundreds of these lines, geometrically marked on the earth’s surface. With a plane, you will gain altitude to enjoy the view over the desert and of course to appreciate the amazing lines. The largest figure measures more than 200 meters length. Major questions about the intentions and skills of theirs builders remain pending. We start transferring you at 08:00 pm from your hotel in Arequipa to the private bus terminal of Cruz Del Sur. The overnight bus from Arequipa will leave at 09:00 pm and arrive to Nazca at 7:00 am the following day. The bus company provides you a pillow and small blanket to make sure that your night trip will be comfortable! The bus will be first class, but on demand we can also organise you a VIP bus to Nazca. 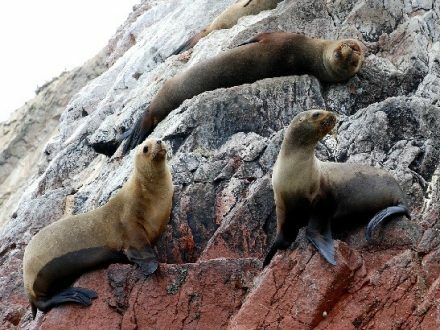 If you are arriving to Nazca by bus, you will arrive approximately at 06:00 or 07:00 am (arriving from Cusco or Arequipa; if you already are in Nazca we will organise your pick-up from your hotel). Our representative in Nazca is Liliana Hamani. She will be waiting for you at the bus terminal and then get you transferred to a hotel restaurant, in case you would like to have some breakfast. Most people prefer to eat something light before the flight. 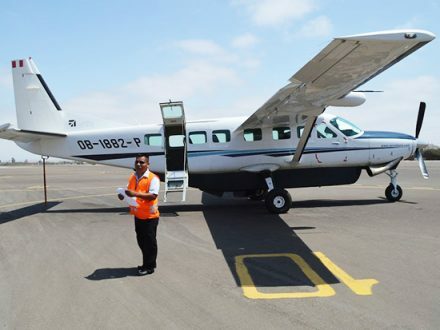 Between 8:00 and 8:30 am, you will be transferred to the Nazca Aerodrome for your flight over the mysterious Nazca Lines. Flying over these enigmatic “pampas” for approximately 35 minutes, you will discover the huge designs which were drewn maybe hundreds of years ago by some ancient Peruvians. 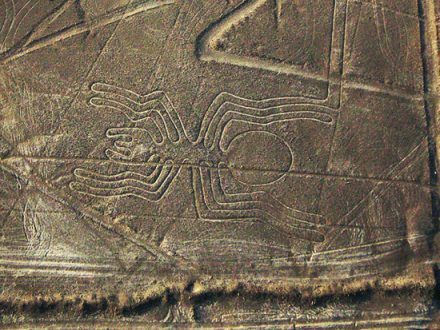 You will be able to observe the most important ones as the monkey, spider, hummingbird and the long perfect Nazca Lines. Afterwards, to complete your experience in Nazca, you will visit the pre-Inca cemetery of Chauchilla where you can observe the burials of the old Nazcas. Most of these tombs are original and have mummies, too. The tour continues with a visit of one of workshops; here you will see how a modern Nazca’s descender makes their beautiful colorful pottery. You will get some explanations about the ancient art of ceramics manufacturing which was made during the Nazca Civilization and afterwards visit a gold extraction workshop where the ancient secret of gold extraction will be revealed. After all this excitement, we will stop at a local restaurant close to the hotel to have lunch. Then, we will pick up your luggage and transfer you to bus terminal for your bus to Lima (Ormeno Class Bus or Cruz del Sur) which is leaving at 04:00 pm. You will be arriving to Lima at 11:00 pm. We recommend you to book your flight in advance, especially in the high tourism season.